Today we’d like to introduce you to Jordan Hestermann. I started training in martial arts 25 years ago. My dad was primary instructor. He opened our Academy at the end of 1993. As a teenager I participated in all aspects of the business. I started teaching kids classes when I was 15. I started teaching adult classes when I was 17. I have been teaching ever since. I have lived in different parts of the country through the years, but I always find my way back to my dojo home. Training in martial arts is hard. Some things are easy and you pick them up right away other things take years to get. In the beginning years, it is easy to want to quit when you hit some of these obstacles. After many years, you just know that is part of the process. It is the constant improvement that makes this worthwhile. As a business owner, the struggle is definitely the ups and downs with enrollment and different times of the year. The holidays and summer are always our slow seasons. It makes it difficult at times. Please tell us about Kempo Jujutsu Martial Arts Academy. We teach Seizan Ryu Kempo Jujutsu as our main program. We also do Filipino weapons training. We have a small Aikido program as well. 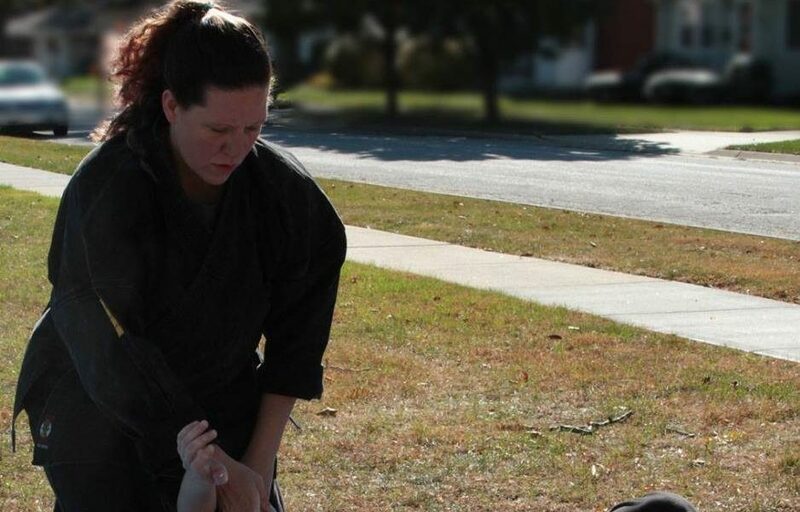 We specialize in helping people improve their lifestyles, versus just teaching martial skills. We emphasize awareness and perseverance training, especially with our children. If you are aware of your surroundings, you can avoid a lot of potentially dangerous situations. Perseverance is especially important for goal achieving. If you can’t push through the hard times, it is very difficult to achieve a goal. One of the things that sets us apart is that we provide a safe, non-competitive environment for people to learn. We want you to be able to keep training, go to work, etc. We have been doing this for almost 24 years and we have developed a great academy and we have really awesome people training with us. Nothing. It took me quite some time to take of the Academy from my father. I knew it was an eventual thing, but I put it off until I couldn’t. I love teaching. I love running the Academy. I did it at the right time for all of us involved. I wouldn’t change a thing.